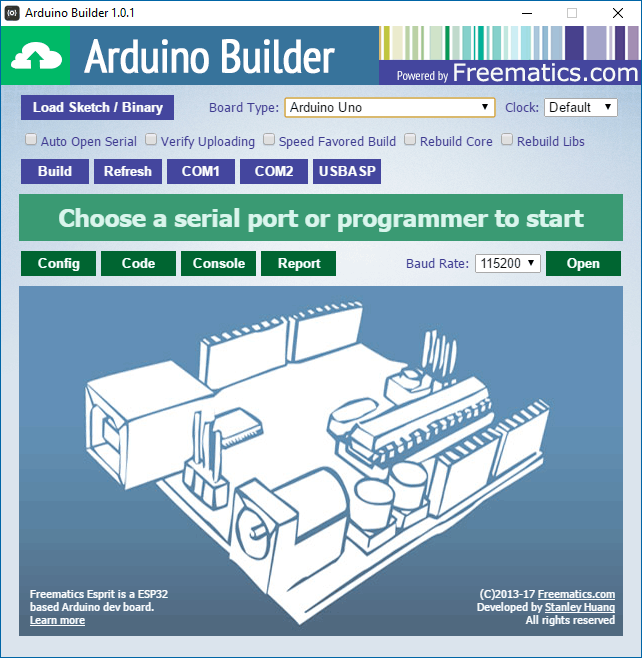 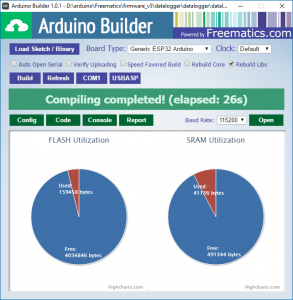 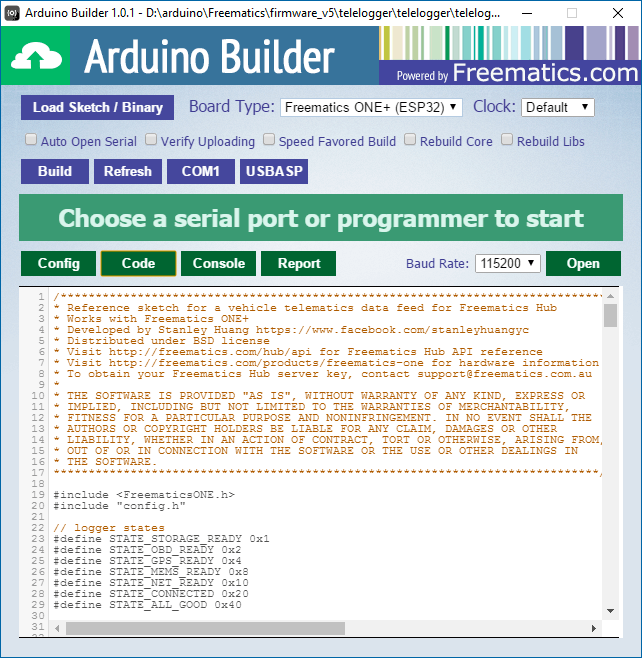 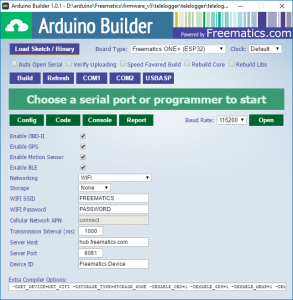 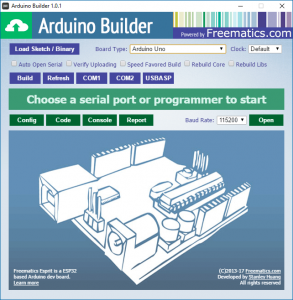 Freematics Arduino Builder is a fully self-contained utility which integrates all the toolchains, Arduino cores and libraries for easily uploading Arduino sketches or pre-compiled binaries to one of common AVR based Arduino boards as well as ESP8266 and ESP32 variants. 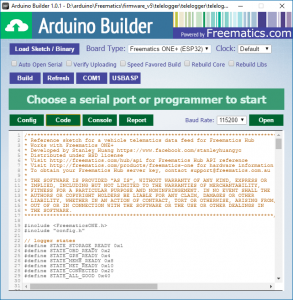 A simple code viewer and serial monitor are also integrated. 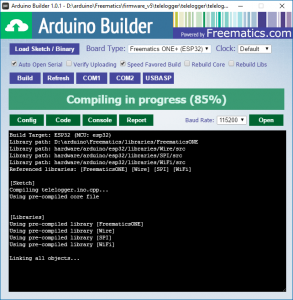 Freematics Arduino Builder supports custom configuration for compiling a sketch, with a UI created from a config file (example). 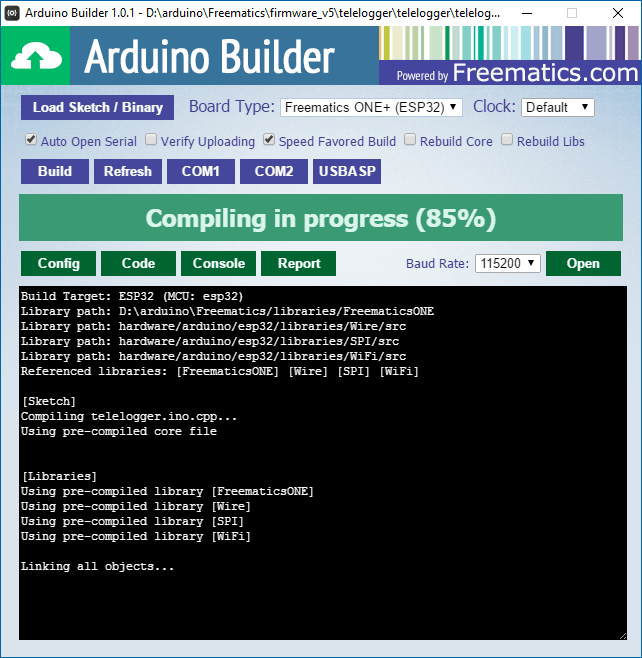 Extra compiler options will be generated for compiling. This makes it easy to configure a sketch with some optional features or parameters, without changing code manually.